With Pop Culture Con just one week away, Lupe and Rogelio are determined to buy passes for the biggest event of the year, by any means necessary. 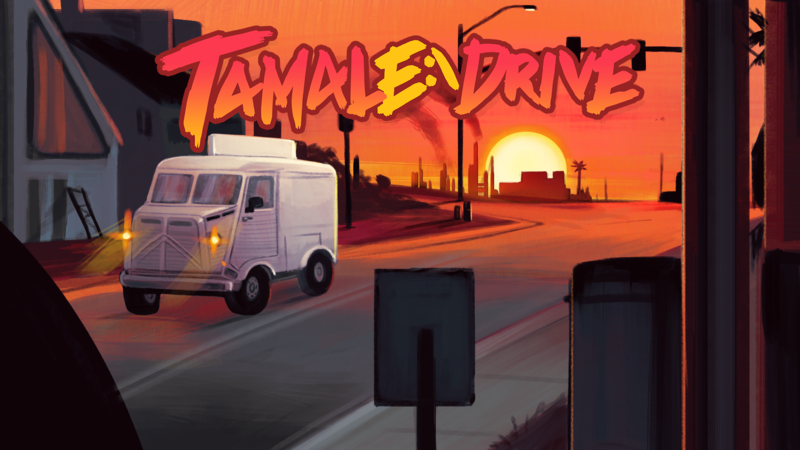 Posing as a tamale truck, they decide to sell bootleg DVDs of the latest blockbuster theatrical releases... all while avoiding the watchful eye of the local cops. 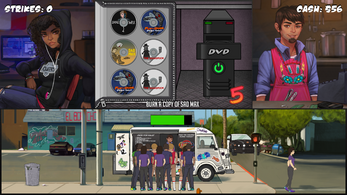 Help Lupe and Rogelio master the forgotten ancient art of burning DVDs. Carefully maneuver through the dangerous warzone that is your desktop computer and smite those pesky pop ups. Put your mind to the test and battle mind numbing equations such as how many $1 bills will it take to equal $4?! Challenge yourself to a game of wits and intellect with feats such as fulfilling a double order of chicken tamales! And the most daring of all... play frisbee with a DVD! As if this weren't a monumental task on its own, you must also be on the look out for cops that could shut down Lupe and Rogelio's business. 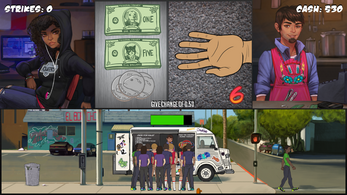 Quickly use SPACEBAR to switch out the tamale truck's menus to trick the cops before they turn to look. The cops could be anywhere, some even dedicated to clever undercover work that can catch you off guard! 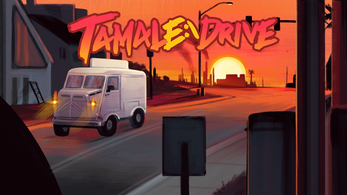 Tamal E:\ Drive is our first game, inspired by Game & Wario's Gamer, which provided a unique experience unavailable on other platforms. This game is a personal challenge to translate that stressful-but-fun experience of minigame management to the PC.